Burnley’s much awaited return to competitive football, at what is, in effect, reserve team level, gets underway today when we travel to play Crystal Palace in the Professional Development League with the game being held at their training ground at Beckenham. The last time we played in a competitive league was in the 2011/12 season. We beat Macclesfield 3-1 at Turf Moor with Joe Jackson the last Burnley player to score a goal in the Central League although our final goal was an own goal. That means the first chance for any of us to see our under-23 team in league action will come at Turf Moor next Monday afternoon when we face Ipswich. We’ve no news, as yet, on what sort of team Michael Duff will be taking with him. I would think, given the travelling and the fact that the first team themselves were in London over the weekend, it might make it less likely that any of the first team squad who didn’t feature at Chelsea will play. What we do know is players were left out of the youth team over the weekend because of their involvement today so we can expect to see central defenders Oliver Younger and Scott Wilson in the squad alongside winger Dwight McNeil (pictured). Kick off today at Palace is 1 p.m. and there is a full fixture list to kick off the new season. 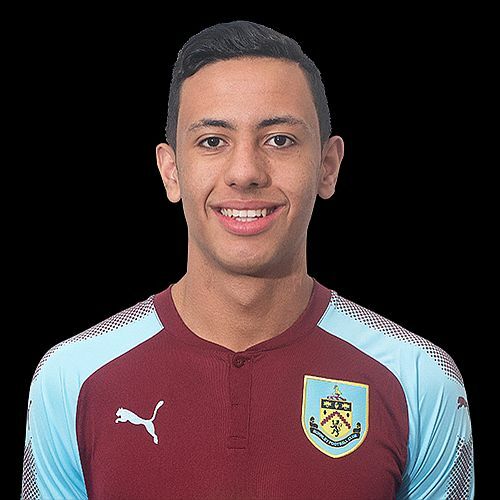 Update: The Burnley team has since been confirmed as Aidan Stone, Luke Hendrie, Oliver Younger, Scott Wilson, Ali Koiki, Nashé Chakwana, Christian N’Guessan, Rahis Nabi, Dwight McNeil, Jamie Thomas, Khius Metz. Subs; Connor King, Arlen Birch, Olatunde Bayode, Tommy Wood, Harry Limb.